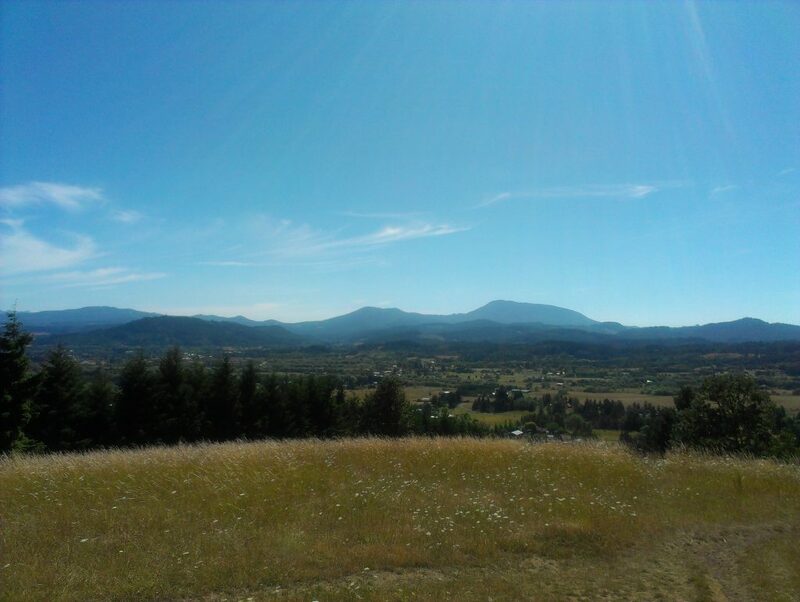 Bald Hill is THE park to visit in Corvallis. It’s easily accessible, with multiple trailheads. There are trails for everyone. You can hike, run, bike, ride a horse, push a stroller or pedal your unicycle on these trail. Some are paved, others are gravel. Some are flat, others steep. There are benches, an old barn, informational signs, viewpoints, and options galore. This is a park you can keep coming back to and find something new each time. I met my friend Lauretta here for a short walk. We hoofed it up to the top to get our essential valley view, then meandered back down. We didn’t have a map or a clear intent on going anywhere, we were just walking and chatting. It was nice to be down in the trees on such a warm day. What made it even better is when we turned onto the Thimbleberry Tunnel Trail (that’s what it should be called). I stopped mid-sentence and exclaimed: “Whoa! Thimbleberries!” She had no idea what I was talking about. I turned her on to the lovely wild berry, its bright red fruit just waiting to be devoured. We slowly shuffled sideways like crabs so as to be facing the lush thicket of berries. We talked and gorged on the berries until our stomachs were full. What a great surprise! An afternoon stroll in the park with friends and wild foods…that’s a good day. 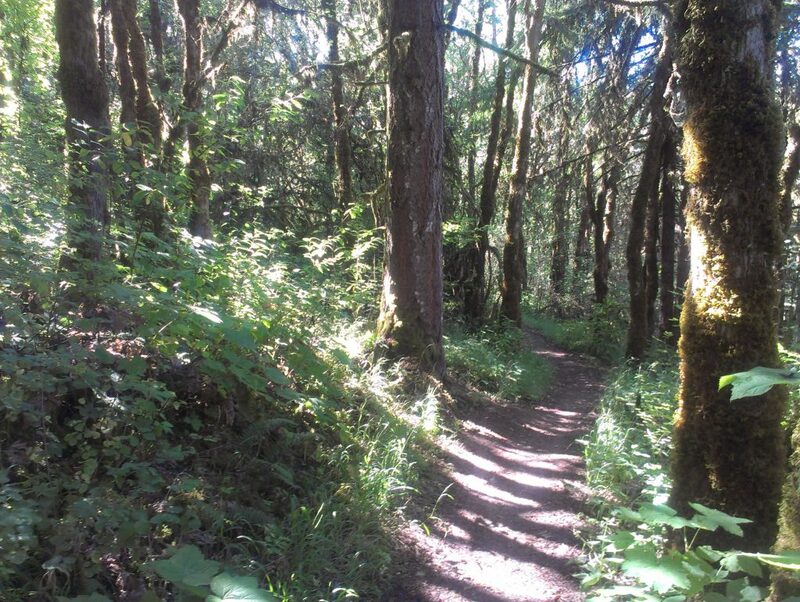 This entry was posted in Hiking, Oregon and tagged hike366 on July 3, 2013 by Jess B.